Researchers have given one man the ability to move a paralyzed limb with his thoughts and others the chance to feel sensations through prosthetic hands. In restoring functions for some, they offer hope to many. Bill Kochevar sat in a research lab, concentrating on his right hand and repeatedly thinking "open." It had been eight years since he last moved his hands, arms or legs. During a charity bike ride in 2007, he crashed into a stopped truck on a rain-slicked road and was paralyzed from the shoulders down. 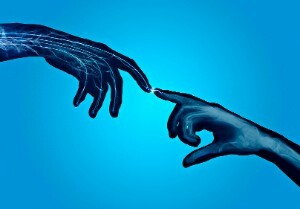 Now part of a research study, Kochevar focused on the once-simple hand movement as computers connected to electrodes in his brain sifted through thousands of neural signals and captured those expressing intent. Another device converted the signals into electrical pulses and then dispatched them into electrodes in his muscles. Slowly, Kochevar's thumb and fingers separated. In those moments, say the Case Western Reserve University researchers leading the study, the 56-year old Clevelander became the world's first person with quadriplegia to use his brain to control a paralyzed limb. It was an exhilarating experience for Kochevar, who had worked as a computer programmer and enjoyed working out at a gym. "I thought I'd be motionless the rest of my life," he said. And it was a biomedical-engineering milestone that generated media reports in more than 60 countries when the news broke in March. 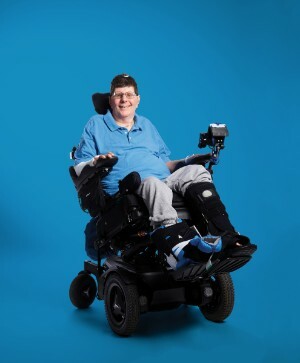 Researcher Bob Kirsch was driven to break new ground in mind-body connections in part by his brother-in-law's paralysis. For Bob Kirsch, PhD—chair of biomedical engineering at the university and director of the Cleveland Functional Electrical Stimulation (FES) Center—it was the realization of the first goal he'd set for the project 10 years earlier: creating a way for people to control paralyzed limbs with their thoughts. How Kochevar came to open his hand is the story of a man committed to making a difference, just as he aimed to on that bike ride for the National Multiple Sclerosis Society. But it's also about a university that more than 40 years ago began pioneering electrical stimulation, and a group of bioengineers driven to restore severed connections. When Kochevar first moved his hand that day in May 2015, Kirsch couldn't yet go public with the news. That had to wait for the publication of the scholarly article in The Lancet this past spring. But he did need to tell two people. First was Donna Kirsch, who said her husband of 35 years "was giddy like a kid when he came home." Then Kirsch emailed the person who inspired his passion for movement restoration decades earlier: Donna's brother, Bob Schuster, who was largely paralyzed from the shoulders down at age 18 when he ran into a light pole trying to catch a fly ball on a softball field. "We did it," wrote the exuberant Kirsch. "We were able to get him to open his hand and move his arm." "That's great!" Schuster replied. "You've been working on this a long time." Motion in able-bodied people doesn't require anything like Kochevar's intense mental effort. Say you want to grab a cup of coffee, scratch a bug bite or button your shirt. The almost subconscious thought travels at speeds of more than 260 miles per hour along the peripheral nervous system connecting the brain and spinal cord to the rest of the body, putting muscles into action. But inside people with paralysis, the nerve connections are no longer through streets. They're dead ends. Researchers the world over are investigating ways to build a bypass. For more than 40 years, biomedical engineers and health care professionals, including many at Case Western Reserve, have focused on what's called functional electrical stimulation—using mini-computers and stimulators to generate and deliver electrical pulses that make paralyzed muscles move. During the past two decades, other researchers have pursued a different but related path: developing brain-computer interfaces, or BCIs—systems that connect electrodes implanted in the brain with computer algorithms that can intercept and interpret a brain signal. BCIs have made it possible for a paralyzed study participant in New England to spell out words by mentally steering a cursor to letters on an on-screen keyboard and using point-and-click commands. Kochevar is reportedly the first to use implanted BCI and FES systems in tandem to capture and relay his brain commands to his body, bypassing the neural dead ends. In some ways, the road to that day in the lab began in 1975, when Bob Kirsch and Donna Schuster began dating as high school sophomores in Hamilton, Ohio. Bill Kochevar said he decided to participate in the BrainGate research because "it's research. If nobody does any research, no new breakthroughs will occur." From the get-go, Bob Schuster, who had been paralyzed three years earlier, had joked with Kirsch, making him feel at home. Soon, the mechanically inclined Kirsch was building a tray for Schuster's wheelchair to keep his magazines and water cup in easy reach, and later his textbooks, as Schuster earned a sociology degree at Miami University. Kirsch completed his electrical engineering degree at the University of Cincinnati in 1982. But what stoked his passion were research papers showing that functional electrical stimulation could restore movement. So he took a risk on the relatively new field of biomedical engineering. "I saw there were things I could do for Bob and people like him," Kirsch said. By then, Schuster had begun working in sales and customer service for a steelmaker and urged Kirsch to help people who were more severely disabled. 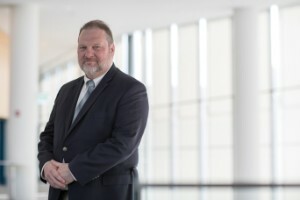 Kirsch earned his master's degree and PhD at Northwestern University, and in 1993 joined Case Western Reserve's FES program, housed in one of the nation's first biomedical engineering departments. The FES program had gained world renown in the 1980s when Hunter Peckham, PhD (GRS '68, '72, biomedical engineering), now a Distinguished University Professor and the Donnell Institute Professor of Biomedical Engineering, led a series of groundbreaking experiments that used FES to enable paralyzed men and women to reach and grasp objects. Peckham also led the creation of the Cleveland FES Center, funded by the U.S. Department of Veterans Affairs. Researchers there come from the Louis Stokes Cleveland VA Medical Center, Case Western Reserve, MetroHealth Medical Center and University Hospitals Cleveland Medical Center to develop ways for people to regain some ability to move or feel sensations. And Peckham and colleagues continue to develop a new generation of fully implantable FES systems that can help people with multiple tasks, including controlling the bladder and grasping objects. He also founded the Institute for Functional Restoration to help make implantable technologies developed on campus available to many more people with paralysis. Meanwhile, Kirsch and his collaborators are taking FES systems a step further by linking them with brain-computer interfaces. A decade ago, Kirsch, the Allen H. and Constance T. Ford Professor, recognized the enormous potential in combining BCI and FES systems in one person. He soon reached out to researchers at Brown University who were developing what he considered the most promising BCI project, which is known as BrainGate. The teams agreed to collaborate, and in 2007 won a $6.5 million National Institutes of Health grant. Case Western Reserve became a BrainGate site. Kochevar proudly became the first volunteer in Cleveland and the only one of roughly 10 BrainGate participants who has an FES system as well as a BCI. And, like all BrainGate participants, he needed his own BCI computer algorithm to pick out signals in his brain associated with movement. To create that algorithm, Kirsch turned to A. Bolu Ajiboye, PhD, an assistant professor of biomedical engineering at Case Western Reserve and a senior investigator on his team. As a graduate student, Ajiboye had worked for a short time with Jesse Sullivan, an electrician whose arms were amputated at the shoulders after he touched a power line. Ajiboye had helped build an algorithm that pulled information from Sullivan's muscle signals to control an artificial limb—some of the same signal processing he was now creating for Kochevar. And Sullivan's words still echoed in his mind: "What you're doing can have a big impact on real people." Like Sullivan, Kochevar remained patient and showed the same willingness to help as the team worked through tedious tests of different versions of the algorithm until Kochevar demonstrated he could use his mind to move his arm. Afterward, Kochevar spent several hours every week in the FES Center at the Cleveland VA. Over time, he began bringing drinks and food to his mouth and scratching his face with a loofah sponge. He no longer had to think hard about each individual movement. Then came the moment he had imagined for weeks: Kochevar scooped up a mouthful of mashed potatoes and took a bite. He smiled and laughed. Bill Kochevar had imagined for weeks the moment when he could scoop up mashed potatoes and take a bite. While Kochevar can move his right arm and hand with the aid of technology, he, like most people with paralysis, can't feel what he touches. Injuries to the nervous system create dead ends for sensory signals. Developing sensation for people with paralysis is part of the next frontier. Kirsch's colleague Dustin Tyler, PhD (GRS '99, biomedical engineering), already is working on a related front. His team has devised and continues to improve technology for people using a prosthetic hand to experience feeling in their artificial palm and fingers. Tyler, the Kent H. Smith II Professor of Biomedical Engineering, began working 13 years ago to turn on sensation using electrical stimulation. He constantly discussed the idea with his wife, Joyce, an occupational therapist at MetroHealth, who specializes in the hand and prosthetics. She explained that as many as half of people with prosthetic hands abandon their devices because they can't feel them to control them. "Sensation is the eyes of the hand," she told him. "Without it, the hand is blind." Determined to put a sense of touch into a prosthetic hand, Tyler and his team developed a computerized interface to enable electrodes implanted in a person's arm to send information through the nerves up to the brain. (called the Advanced Platform Technology Center) began sending electrical pulses from the computer interface into different nerves in the right forearm of Igor Spetic, who had lost his right hand in an industrial accident. The pulses essentially tricked his brain into thinking his hand was still there and feeling the sensations the interface generated. First, Spetic said he could feel the tip of his thumb. Eventually, he said he felt the tip of each finger and 14 other locations on the back, side and palm of his hand, as if his hand were still there. Spetic was thrilled. "A year and a half after the accident," he said, "I felt my hand." Once researchers knew the interface worked, they tried it with a prosthetic hand attached to Spetic's arm. Then they tested patterns of electrical pulses, which made Spetic feel that they were touching his prosthetic hand with cotton balls, sandpaper and other materials. He's believed to be the first person to "feel" familiar sensations generated through an electrical stimulation system. The Tyler team's work continues to progress with more members and research dollars. The group and its partners received $4.4 million from the U.S. Defense Advanced Research Projects Agency for the first phase of the project, and could receive as much as $8.5 million in additional funds for Phase 2, which is underway, and Phase 3. Most recently, the researchers developed a way for the brain to sense pressure in a prosthetic hand with the same sensitivity of a real hand. With this new capability, Spetic operated a lathe by feeling, not watching, the handle in his prosthetic grip. A second participant, Keith Vonderhuevel, felt his granddaughter's hand in his prosthetic hand as they walked. When they spoke about it, both Spetic and Vonderhuevel referred to their prosthetic device as "my hand." "We're trying to reconnect them with the world they know through touch," Tyler said. "Not much could be better than to hear them say 'my hand.'" 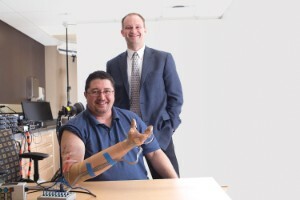 Dustin Tyler and his team gave Igor Spetic (seated) the ability to feel what's in his grasp by creating a connection between his brain and a prosthetic hand. The Kirsch and Tyler teams have discussed combining motor and sensory technologies to provide a sense of touch to people with paralysis. Researchers around the world believe having sensation and the ability to move could help rewire the brain and enable a person with paralysis to move more smoothly and naturally. Others agree that's where the research should head. "We've always known that someone with a spinal injury ideally would have a fully implanted system that restores movement and sensation in their own arm," said Jennifer Collinger, PhD, an assistant professor at the University of Pittsburgh who is working on a separate project to restore movement and sensations. She believes that some devices designed to restore the sense of touch for people with paralysis could potentially take advantage of the patterned stimulation approaches developed by Tyler to make sensations feel more natural. And she said that what Kirsch has done—recording signals in the brain and driving stimulation of muscles in real time to enable participants to do tasks important to them—is "a great step." Two months before the world knew Kochevar and Kirsch's team had taken that step, Schuster died. He'd lived decades longer than doctors had expected. Schuster, however, knew of the breakthrough, because days after Kochevar ate the mashed potatoes, Bob and Donna Kirsch drove to Hamilton, and "the Bobs" sat together and watched a grainy research video of Kochevar feeding himself. "That's pretty cool," Schuster said. "You're next," Kirsch said, and they both laughed. Schuster's health was failing and they knew he would never again use his thoughts to control his movement. But, for decades, just the prospect had driven Kirsch to collaborate and push the science and make it possible. Now, Kirsch would like nothing better than for Kochevar to be the first, one more time, not only to move his arm with his thoughts—but to feel what's in his grasp.